White people remain the majority in the U.S. — but in new data from the Census Bureau, non-Hispanic whites were the only group that didn’t grow from 2016 to 2017. Whites declined by .02 percent to a total of around 198 million people. 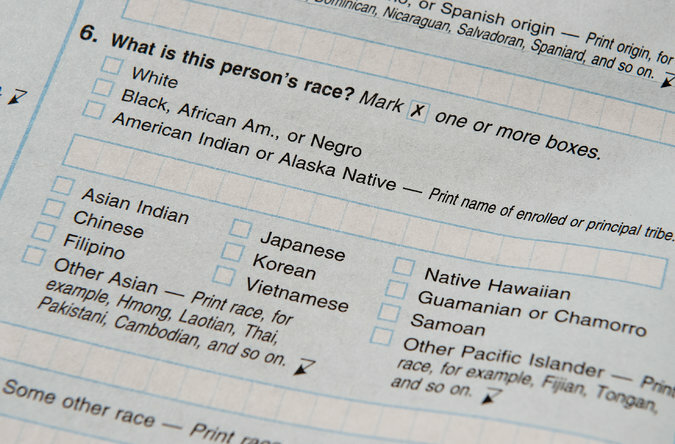 Note: Project RACE is NOT in favor of a citizenship question on the U.S. Census! WASHINGTON — The 2020 census will ask respondents whether they are United States citizens, the Commerce Department announced Monday night, agreeing to a Trump administration request with highly charged political and social implications that many officials feared would result in a substantial undercount. 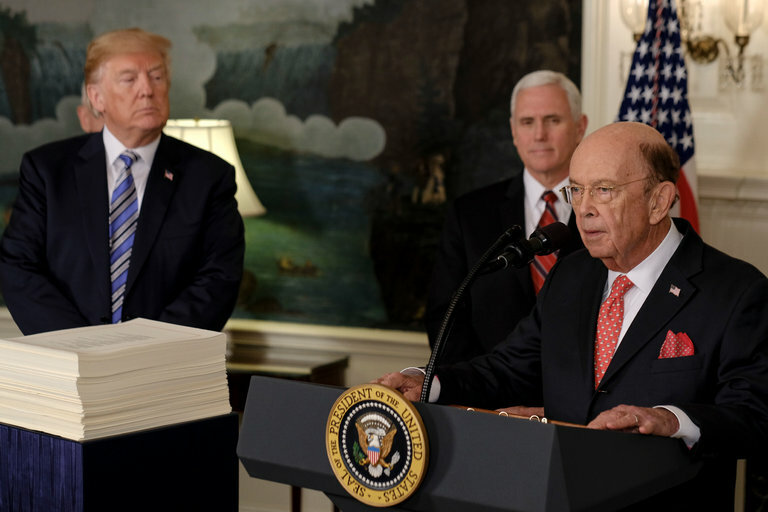 In a statement released Monday, the Commerce Department, which oversees the Census Bureau, said Commerce Secretary Wilbur Ross had “determined that reinstatement of a citizenship question on the 2020 decennial census questionnaire is necessary to provide complete and accurate census block level data,” allowing the department to accurately measure the portion of the population eligible to vote. But his decision immediately invited a legal challenge: Xavier Becerra, California’s attorney general, plans to sue the Trump administration over the decision, a spokeswoman for Mr. Becerra said late Monday. Critics of the change and experts in the Census Bureau itself have said that, amid a fiery immigration debate, the inclusion of a citizenship question could prompt immigrants who are in the country illegally not to respond. That would result in a severe undercount of the population — and, in turn, faulty data for government agencies and outside groups that rely on the census. The effects would also bleed into the redistricting of the House and state legislatures in the next decade. The Justice Department had requested the change in December, arguing that asking participants about their citizenship status in the decennial census would help enforce Section 2 of the Voting Rights Act, which aims to prevent voting rights violations. “The Justice Department is committed to free and fair elections for all Americans, and has sought reinstatement of the citizenship question on the census to fulfill that commitment,” a Justice Department spokesman, Devin M. O’Malley, told The New York Times in February. In a memorandum explaining his decision, Mr. Ross wrote that he had considered opponents’ arguments about the potential to discourage responses. “I find that the need for accurate citizenship data and the limited burden that the reinstatement of the citizenship question would impose outweigh fears about a potentially lower response rate,” he wrote. The decennial census generally included a citizenship inquiry for more than 100 years through 1950, according to the Commerce Department. And other, smaller population surveys, such as the Current Population Survey and the American Community Survey, continue to ask respondents about it. But critics dismissed administration officials’ reassurances. The bureau is required to submit a final list of the 2020 census questions to Congress by the end of March. (CNN) — Progressives, states and civil rights advocates are preparing a flurry of legal challenges to the Trump administration’s decision to add a question about citizenship to the next census, saying the move will penalize immigrants and threaten civil rights. The late Monday move from the Commerce Department, which it said came in response a request by the Justice Department, would restore a question about citizenship that has not appeared on the census since the 1950s. The administration said the data was necessary to enforce the 1965 Voting Rights Act. The state of California immediately challenged the plan in federal court. California Attorney General Xavier Becerra and Secretary of State Alex Padilla trashed the move as anti-immigrant. Holder said contrary to the rationale presented by the Justice Department, he and other modern-era attorneys general were “perfectly” able to handle those legal matters without such a question on the Census. Critics of the move say that including such a question on a government survey will scare non-citizens and vulnerable immigrant communities into under-reporting. By undercounting these populations, they argue, there will be a major impact that follows on voting and federal funds. Because the once-a-decade census is used to determine congressional and political districts and to dole out federal resources, an undercount in heavily immigrant areas could substantially impact certain states and major cities and potentially their representation at the federal level. The question has not been on the full census since the 1950s, but does appear on the yearly American Community Survey administered by the Census Bureau to give a fuller picture of life in America and the population. “Having citizenship data at the census block level will permit more effective enforcement of the VRA, and Secretary Ross determined that obtaining complete and accurate information to meet this legitimate government purpose outweighed the limited potential adverse impacts,” the statement said. Becerra and his state have been central to virtually every legal challenge of the Trump administration on issues ranging from immigration, to the environment, to health care. The Justice Department has also sued California over its so-called sanctuary policies to protect immigrants. More challenges could soon follow. Wendy Weiser, director of the Brennan Center’s Democracy Program, a nonprofit that works on issues of justice and civil rights, said the question had no place in the Census. Timothy P. Johnson is director of the Survey Research Laboratory at the University of Illinois at Chicago and president of the American Association for Public Opinion Research. Roger Tourangeau is former president of the American Association for Public Opinion Research and vice president and senior statistical fellow at Westat. As the federal government prepares to conduct the 2020 Census, critics of the Census Bureau are pushing to make fundamental changes to how it collects its data. This month, Ward Connerly and Mike Gonzalez argued in The Post that the agency should remove questions in the census used to monitor race and ethnicity in our country. This is a bad idea — based on incorrect information — that would do more harm than good to our country. 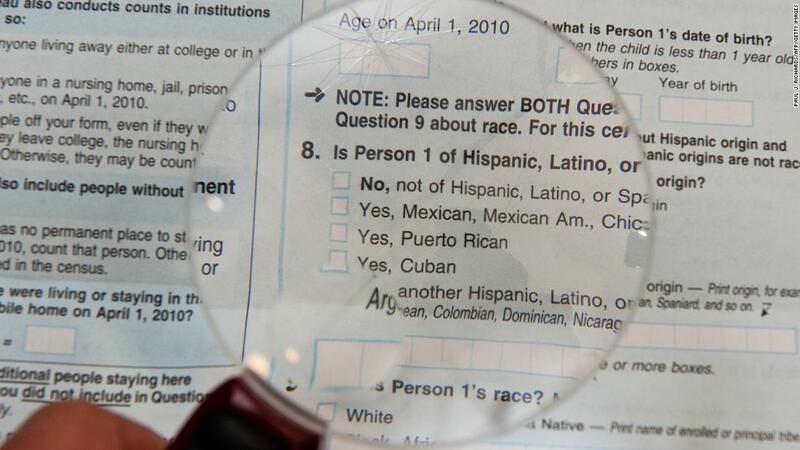 First, the Census Bureau’s race and ethnic classifications do not overlook the growing mixed-race population in the United States, as Connerly and Gonzalez suggested. In fact, the government specifically redesigned the 2000 decennial to let Americans more easily self-identify with multiple racial and ethnic groups. This information can be found in any of the countless statistical reports routinely issued by the Census Bureau describing the ever-changing population of our nation. Questions regarding racial and ethnic self-identification have been included in each U.S. census dating back to the first in 1790. The specific wording of those questions and the level of specificity requested have, of course, been revised significantly over 220 years, reflecting our evolving understanding and respect for the cultural diversity of our nation. Regardless, racial and ethnic self-identification is an essential component of the identities of millions of Americans. It is a valuable proxy indicator of their life experiences, and researchers have found that race and ethnicity are consistently associated with numerous measures of social well-being. This information is also routinely used to expose politically motivated attempts to gerrymander congressional districts. This month’s court order to redraw North Carolina districts, which appear to have been designed in part to limit the representation of minority groups, is the most recent example illustrating the importance of objective, nonpartisan statistical information to ensure equal protection of the rights of all Americans. Removing this information from the decennial census would make it easier for us to ignore the social discrimination, health and economic disparities that persist in our nation. Of course, social researchers recognize the imperfect measurement of race, ethnicity and most of the other social constructs that we study. There are many legitimate criticisms of the existing measures, and ongoing efforts in government, academia and private enterprise continue to develop more rigorous and useful measures. The Census Bureau has historically served as a leader in these efforts, typically making changes to census questions only after lengthy periods of careful research, experimentation and public comment. Questions regarding racial and ethnic self-identification will undoubtedly continue to evolve in the future. Those changes will hopefully be made in the name of public service and based on nonpartisan research. The 2020 Census is already under considerable stress due to the cancellation of large-scale pretests and other essential development work. This is no time to impose untested changes to the census questionnaire. If we want to reconsider removing or adding questions, let’s do it when we have ample time to determine how doing so might best serve the public good. Experts already concerned about census response rates say the query would cause even fewer people to respond. The Department of Justice’s recent request to add a question about citizenship to the 2020 census has sparked concerns that such a move would lower response rates within immigrant communities. An inaccurate Census would have severe consequences. The survey helps determine the allocation of nearly $700 billion each year in federal money, the number of representatives each state has in the U.S. House and how other electoral districts are drawn. Even before ProPublica reported the Department of Justice request to the Census Bureau for the citizenship question, officials already faced significant challenges in getting people to respond. Among those is convincing people that the Census Bureau, which is overseen by the Commerce Department, won’t share data on individuals with other government agencies, said Arturo Vargas, the executive director of the National Association of Latino Elected and Appointed Officials Educational Fund. Vargas, who also is a member of the Census Bureau’s National Advisory Committee on Racial, Ethnic, and Other Populations, said part of this fear arises from the policies and “new tone” of the Trump administration toward immigrants. “So adding the citizenship question to [the census] is going to exponentially increase that hurdle to convince everybody that nothing’s going to happen to you if you answer this survey,” he said. The Justice Department, in its Dec. 12 letter to the Census Bureau, said it needs data on non-citizens to better enforce Section 2 of the Voting Rights Act. That provision prohibits the drawing of electoral maps in such a way to dilute the influence of minority votes. DOJ said the data on non-citizens would ensure districts are drawn in a way that fairly represents minority citizens. Voting rights lawyers question that rationale, noting that the Census Bureau already asks people if they are citizens through the American Community Survey (ACS), which every year goes out to about 3 million households and extrapolates information about the U.S. population. The Justice Department said in its letter the ACS data was insufficient for voting rights enforcement and that the citizenship question should be included on the formal census, something that has not been done since 1950. John Yang, the president and executive director of Asians Americans Advancing Justice, told HuffPost that asking about citizenship on the census would hinder the government from collecting accurate data. John Thompson, the former Census Bureau director who resigned in May, said he would not advise adding a question about citizenship because census officials hadn’t had a chance to measure how it would affect the response rate. Some lawmakers have previously tried to pass legislation requiring a citizenship question on the census. Rep. Clay Higgins (R-La.) last year unsuccessfully sought to withhold funding for the Census Bureau unless it added such a question. Rep. Steve King (R-Iowa) said in December he wants the census to count citizens separately from non-citizens and then use only the count of citizens to determine the apportionment of congressional seats. The U.S. Constitution requires congressional seats to be apportioned based on a count of all “persons,” not just citizens. Terri Ann Lowenthal, who worked as staff director of the House census oversight subcommittee from 1987-1994, said that adding a question about citizenship would produce inaccuracies that would have far-ranging consequences. Census researchers conducting tests in preparation for 2020 already have been raising concerns about the impact of harsh immigration rhetoric on response rates. In a September memo, the researchers said field representatives and supervisors were seeing an unprecedented amount of concern about the confidentiality of census data, particularly among immigrants. The officials observed test respondents “falsifying names, dates of birth, and other information on household rosters.” In focus groups conducted in several languages to test messages for the census, respondents expressed concern about opening their door for a census-taker out of fear they could be deported. “Spanish-speakers brought up immigration raids, fear of government, and fear of deportation. Respondents talked about having received advice not to open the door if they fear a visit from Immigration and Customs Enforcement” agents, the memo said. With the 2020 Census three years out, civil rights groups and census experts are sounding the alarm that pending actions by the Trump administration and Congress could severely hamper an accurate count of all communities. “Congress’ failure over the past few years to pay for rigorous 2020 Census planning, and now the Trump Administration’s insufficient budget request for 2018, will strike at the heart of operations specifically designed to make the census better in historically undercounted communities,” said Terri Ann Lowenthal, former staff director with the House Subcommittee on Census and Population. She spoke during a national press call hosted by the Leadership Conference on Civil and Human Rights. The call was moderated by Wade Henderson, president and CEO of Leadership Conference on Civil and Human Rights. Currently the Census Bureau is being funded at 2016 levels, as Congress has not approved final spending bills for 2017. The bureau has requested a 25 percent “ramp up” for preparation activities. But President Trump’s 2018 budget proposal recommends keeping funding levels where they are currently, $1.5 billion. Census advocates say this is a crucial time for laying the groundwork and are calling for Congress to reject the administration’s budget proposal in favor of one that covers all preparation activities. Recently, the U.S. Government Accountability office deemed the 2020 Census a “high risk federal program,” in part because the U.S. Census Bureau is planning to utilize several never-before used strategies – such as collecting responses over the internet – but may not have the time and resources to adequately develop and test them. Budget limitations have already hindered major preparations, including the cancellation of tests of new methods in Puerto Rico and on two American Indian reservations, and resulted in mailed tests rather than electronic or in-person ones, as well as delayed community outreach and advertising campaigns. Advocates say current funding shortfalls will result in many people – particularly black, Latino and rural households, and families with young children – being missed by the count. Arturo Vargas is the executive director of the National Association of Latino Elected and Appointed Officials (NALEO) Educational Fund. He calls the underfunding of the census a major civil rights issue for Latinos and other communities of color. “A successful 2020 Census is not possible if Latinos are not accurately counted,” Vargas said. Millions of Latinos, the second largest ethnic group in the U.S., were missed in the 2010 census, including 400,000 children under four, according to Vargas. For each uncounted person, state governments and communities lose thousands of federal aid dollars, which go to anti-poverty programs, education, infrastructure, emergency services, healthcare and other programs. An undercount can also trigger changes in political representation – from redrawn district lines, to fewer seats in local, state and federal offices, often diminishing the power of communities of color. Advocates say that new cost-saving strategies like collecting responses over the internet rather than paper forms require investments on the front end. Delayed preparations cannot be made up later. Surveys administered online may also be hampered by the “digital divide” if adequate field tests are not taken. Lack of access to broadband and the internet may make it “more challenging to [reach] those historically left out of the census in the first place,” Vargas warns. The first “high tech” census also opens the door to cyber security concerns, which have been exacerbated of late by evidence of foreign attacks on the 2016 presidential elections. Such concerns could make Americans even more hesitant to participate. Lowenthal says she and other advocates must be prepared for a “wild card” event, such as President Trump publically questioning the importance of the census via social media. “One errant tweet could shake public confidence and in the process depress participation and undermine faith in the results, conceivably all the way to the halls of Congress,” Lowenthal said. 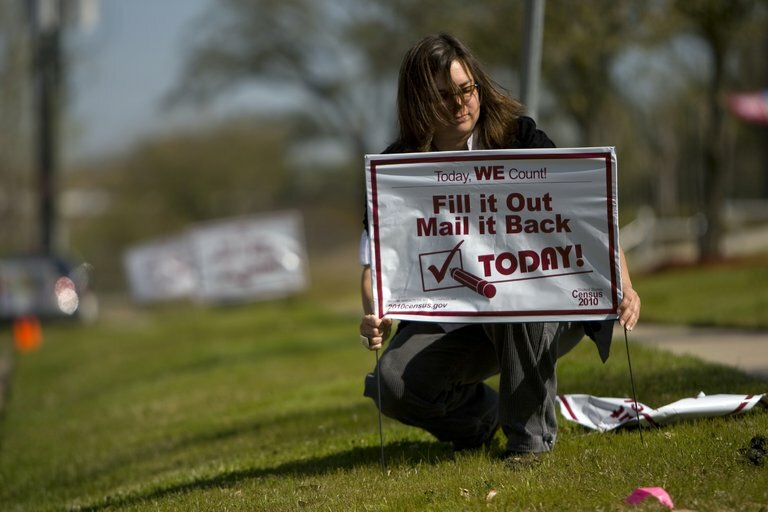 Census advocates are eyeing several other threats to the decennial count and its yearly counterpart, the American Community Survey. The ACS is sent yearly to about 1 in 38 households to collect demographic data on everything from employment and home-ownership to educational attainment. Republications in Congress are pushing to make participation in the ACS voluntary which could severely damage the data, says John C. Yang, president and executive director of the non-profit advocacy group Asian Americans Advancing Justice. “The ACS updates the Census throughout the decade. As such it is required by law and must remain so to provide the vital info needed from our communities,” Yang said, emphasizing that the ACS is the only source for detailed data of ethnic subgroups, such as Vietnamese of Chinese descent. Census advocates are also on high alert because an unsigned leaked executive order, titled “Protecting American Workers from Immigrant Labor,” referenced a directive to the Census Bureau to collect data on immigration status. Advocates are alarmed by the intentions behind this unsigned order. “Latinos and other immigrant families are keenly aware of heightened immigrant enforcement actions in their communities, and this may increase distrust in contact with public agencies including the Census Bureau,” Vargas said.